When you think of the Volkswagen Golf, it is likely that what comes to mind is a stylish family hatchback that is great for driving around the city thanks to its compact yet refined design. Reasons why: The Volkswagen Golf S has everything you would expect from a standard Golf — it has a fantastic amount of cabin space, offers superb levels of comfort to drivers and passengers alike, and has been made using high-quality equipment and materials. However, it is completed with a whole host of exciting extras. For one, every engine that can be found under the bonnet of a Golf S has been turbocharged to enhance driveability. Step inside this family car and you will also find a hi-tech 5.8-inch touchscreen on the dashboard, which grants access to DAB radio, a CD player and Bluetooth connectivity as standard. 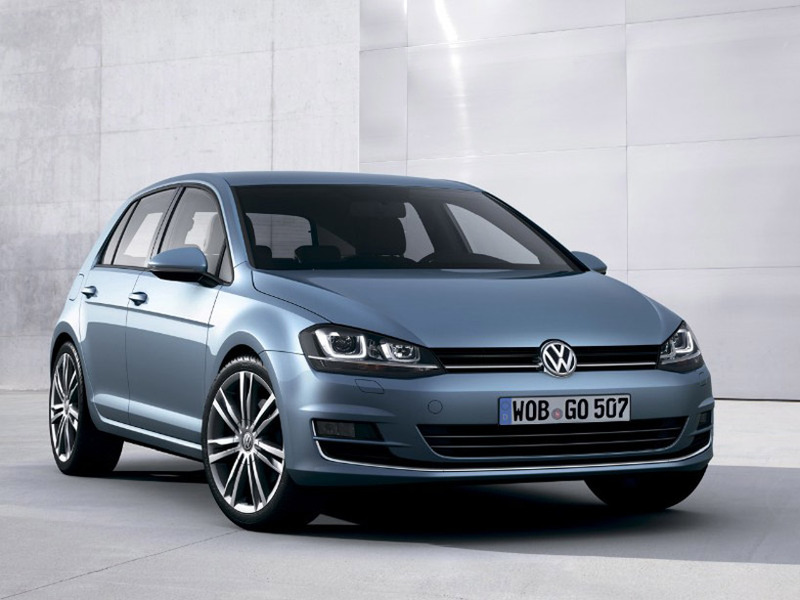 Reasons why: The numbers behind the Volkswagen Golf BlueMotion helps to answer this. The German manufacturer claims that this variant of the Golf is capable of producing a phenomenal 88mpg, while at the same time limiting CO2 emissions to a mere 85g/km. Your fuel costs are kept even lower by the fact that the Golf BlueMotion offers long gear rations for maximum efficiency, not to mention that its 15-inch alloy wheels are wrapped in low rolling resistance tyres. Reasons why: Just like with the Golf BlueMotion, the facts and figures surrounding the Volkswagen Golf GTE hybrid are among the car’s key talking points. Through a combination of a 1.4 turbocharged petrol engine and an electric motor, this plug-in vehicle can produce 166mpg and limit CO2 emissions to just 39g/km. All of this while also being able to excite drivers by accelerating to 62mph from rest in a mere 7.6 seconds and delivering a blistering 201bhp. Reasons why: Style is the name of the game when it comes to the Volkswagen Golf R-Line. Take a walk around this hatchback and you are sure to spot the car’s sporty rear spoiler, side skirts, 17-inch Singapore alloy wheels and both front and rear bumpers. The fun doesn’t stop once you are inside the cabin of the Golf R-Line though, as you will be instantly greeted with comfy R-Line embossed front sport seats. There’s a lot of stylish touches that have been applied all around the car’s interior too, from a leather gearknob to the pedals and front door sills being finished in stainless steel.